This is an unedited drafts. For more on La Familia click here. Welcome to the Family! 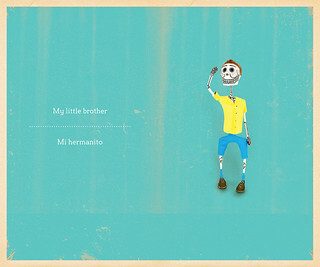 It's just like yours: father, mother, sister, brother, abuelita, gato, even a great-great grandmother. Well, but there's something just a little bit different about this particular family. Maybe it's those clothes they wear . . . just a little bit fashion backward. And the colors! So vibrant and . . . lively. Maybe that's what it is. They are just so full of life while looking almost other-worldly. Click >here< to download exclusive artwork from the la Familia! Cynthia Weill's latest book for young readers teaches basic information about relationships, while also celebrating the colorful tradition of Mexico's Day of the Dead. Artist Jesus Canseco Zárate's long-limbed sculptures are a playful twist on traditional Mexican iconography of the skeleton that stretches back through the country's art history to Jose Gualdalupe Posada's engravings and Aztec sculpture. To request a review copy, please contact Mary Fountaine at MaryF@cincopuntos.com. Cynthia Weill holds a doctorate in education from Teachers College Columbia University. She is on the board of the Friends of Oaxacan Folk Art which seeks to promote and preserve the artists and artisanal work of that Mexican state. 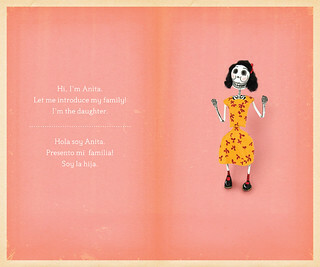 Familia is her fifth book featuring the folk art of Oaxaca. Jesus Canseco Zárate is a young Oaxacan folk artist whose medium of choice is paper mâché. In 2008 he won first prize in the Friends of Oaxacan Folk Art completion for young artists. View all the books from Cynthia Weill's First Concepts in Mexican Folk Art here.